My husband and I have inherited a treadle sewing machine probably made in 1889. 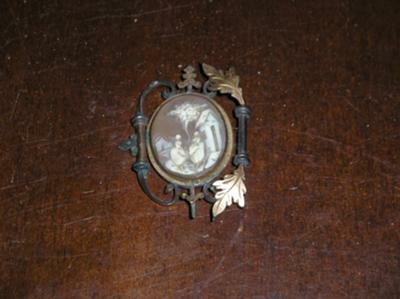 In one of the drawers we found this cameo. We think it may have been a locket. We'd like to know if you can tell us anything about it. Thank you in advance for your time.